Another day dawns in Brussels, and with it the news that police raids in the centre of the city last night – which saw people in the surrounding area either evacuated from, or trapped inside, hotels and restaurants – led to the arrests of sixteen terror suspects. None of these was Salah Abdeslam, suspected gunman in the Paris attacks who subsequently fled to Brussels, possibly with the suicide vest he did not, for reasons unknown, detonate in Paris. None of those arrested last night were found with weapons, which means the stash of arms with which the terrorists are planning an attack on Brussels are, like Abdeslam, still at large. It’s been a strange couple of days here in the European Union’s capital, with most people heeding government advice to stay indoors and avoid public places. But while we understand the serious nature of the threat, how long can this lockdown really go on for? The Belgian economy surely cannot afford to take the hit of many more days without people spending money in its capital city. And with each day that passes the tourist trade will be suffering untold damage, as people cancel trips in fear of being affected by a Paris style attack. And yet, the strange thing is, despite feeling like we are in the throes of a major disaster, nothing has actually happened. It’s like having a guillotine over our heads and waiting for it to drop. Unnerving, to say the least. Aside from anything else the culture of fear that has begun to develop feels very much like it is playing into the terrorists’ hands. 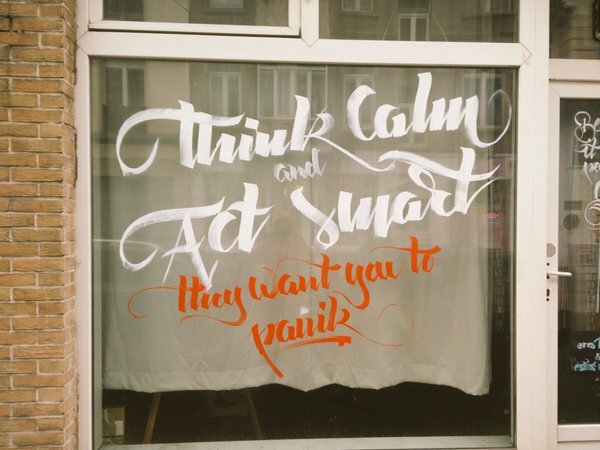 As one window sign spotted on a Brussels street proclaimed, panic is what they want us to feel. And to some extent it’s working. That’s not to say most Brusselites aren’t being stoic in the face of all that’s unfolding. I for one made a point of attending my writing group meet up yesterday rather than give in to the fear. But today I’ll be working from home, and much as I hate to admit it I am now considering my options where my daily commute is concerned, out of worry about taking the metro. We can but hope the situation will be resolved, or at least diffused (if you’ll excuse the possibly quite inappropriate pun) soon, so that we might all go back to living a normal existence. Recent events do, however, make one wonder-will we ever feel entirely safe again? Ten years ago today, fifty two people lost their lives in London when terrorists targeted three packed commuter trains and a bus during rush hour traffic. I have a hangover to thank for not being on a train that went through Edgware Road that morning. Instead I drove to work, arriving late. When the news broke I tried frantically to contact my then boyfriend, whose journey to work took him perilously close to where the bus bomb had gone off, in Tavistock Square. But the phone lines were jammed by other frantic Londoners trying desperately to locate their loved ones, and it took over an hour to confirm that he was safe, more time still to do a head count of my friends. I remember it like it was yesterday; the panic, the sense of helplessness. It was like watching a disaster movie in real time, where the ‘stars’ could well be people you know – people you love. Just awful. There’s something wonderfully resilient about Londoners. Even in a crisis they stand defiant. But that day tested the mettle of even the hardiest of the Capital’s inhabitants. It was a threat to everything they – we – stood for. 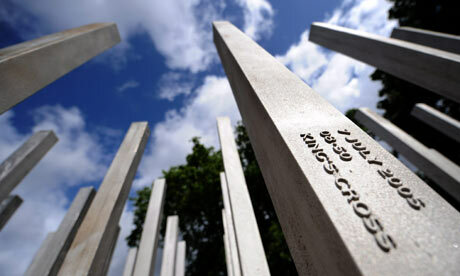 And whilst there is, of course, the argument that our political leaders are responsible for the rise of the terrorism that now threatens our society – having provided arms and funding to the very people who now carry out these atrocities – those people who lost their lives in the 7/7 attacks, those who were injured, and the many more who will be killed and injured by terrorist attacks in the future, were, and are, innocent victims. After work that day, at a loss for what to do and not wanting to be alone, we went to Notting Hill to try and process what had happened with friends. For as long as I live I will never forget the eerie silence as hundreds of Londoners walked past the window with their heads down; contemplating, as we were, the fact it could so easily have been them. Oxford Circus on a Friday night is, one imagines, akin to being in the seventh circle of Hell. Just making it out of the tube station is a fight for survival, but once you hit the main concourse that’s when the struggle really begins. As you navigate the constant stream of dazed shoppers and excited tourists you find yourself sympathising for salmon in their battle to make it upstream. Everyone seems to be going in the opposite direction to you. In this no man’s land they are your enemies, yet when you scan their hostile faces you see your own plight reflected back at you as if in a mirror. Your bags become lead in your hands, your feet heavier still. When the need to escape this throng of lemmings becomes overwhelming you duck into a department store, but after wandering amongst the over-painted perfume ladies their cloying scents make you heady and nauseous. You are losing focus and you know it. Panic bubbles furiously in the cauldron of your stomach. Beads of sweat nudge down your temples like a landslide. “Can I help you, Madam?” says a perfume lady. ‘Yes,’ you want to scream, ‘please help me! I’ve no idea what I’m doing here and I want so desperately to go home! And, while you’re at it, can you tell me why it’s so interminably hot in here?’ But of course you don’t say that. You just give her a strained smile, and beat as hasty a retreat to the exit as you can whilst maintaining the shred of dignity you still have left. Gasping in the air outside the shop you scan the pavement for a break in the plasma flow of fellow humankind. When that break comes you run as fast as your heavy feet will carry you back to the tube, eschewing the advances of the Evening Standard seller as he tries to thrust a paper into your clammy hands. And within minutes you are cocooned in the carriage of the tube train, speeding away from the place that has tormented you, empty-handed but immeasurably relieved. On the topic of holidays, as has been the theme of my last two posts, when I think back to childhood breaks en famille I can’t help but be reminded of Mum’s phobia about packing. 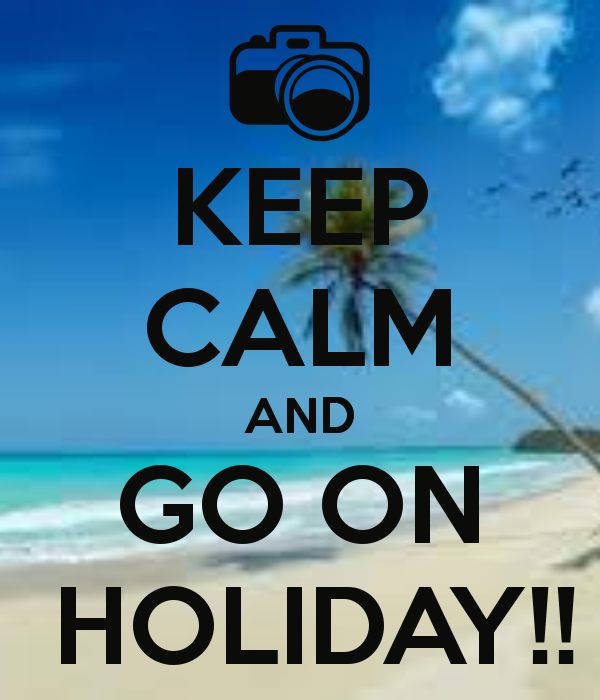 I’ve always wound her up about it but it must be so distressing to feel that level of anxiety in the run up to a holiday. Instead of feeling that delicious sense of anticipation about their time away, people like my mum with packing phobias actually experience dread, because the planning that’s required induces panic that can lead to both physical and mental paralysis. Mum’s a list-maker like me, and you’d think that would help to keep things ordered and under control, but in reality (as I myself have experienced on the odd occasion, like when I’m overloaded at work and find myself surrounded by so many lists my brain ends up in a state of panic-induced inertia) that doesn’t always help. Lists can go so far to quell the panic of forgetting something, but what if you forget to put something on the list in the first place?